Thank you for your interest in officiating youth soccer at MCYSA. 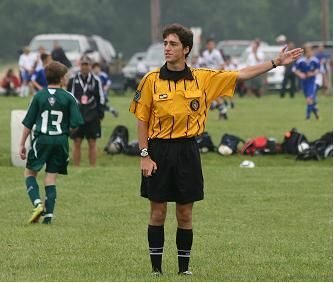 We welcome all USSF Grade 9 or better referees, registered and in good standing with New Jersey State Referee Committee. If not currently certified, or registered with NJSRC please contact their office (www.njrefs.com) for class and/or transfer information. MCYSA uses GameOfficials for referee registration and assigning. To access GameOfficals Click Here - log in using the same username and password you use for (NJSRC) signing up for recertification classes in New Jersey.